Vibrant Performance stainless steel slip joint adapters are made of T304 Stainless Steel for the utmost in optimum corrosion resistance. 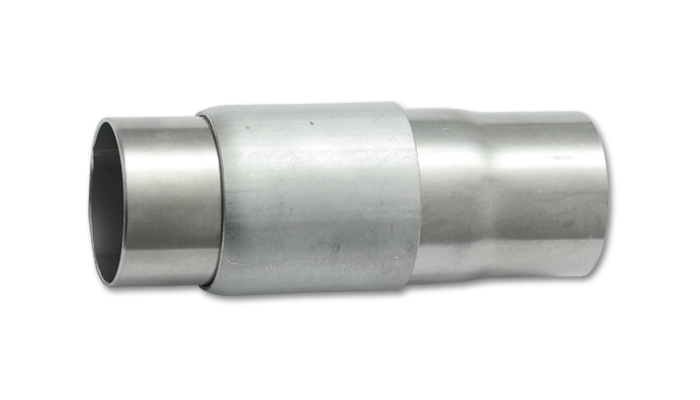 Our comprehensive line of slip joint adapters offers a three piece; leak free connection that provides the lowest possible profile exhaust connection on the market. Our slip joint adapters are ideal for solving ground clearance issues and excel best when used for turbo manifolds; dumps tubes and most popular; motorcycle exhausts fabrication. Vibrant Performance slip joint adapters are available in a selection of tubing sizes ranging from 1.5" O.D. tubing to 3" O.D. tubing.